TI Media grow their affiliate revenue by 130% with the help of Monetizer101 solutions. Monetizer101 is an affiliate monetisation platform for publishers. Its technology allows publishers to insert dynamic affiliate links, price comparison and shopping galleries in their content to generate new revenue and grow beyond advertising. With a simple plug and play solution, Monetizer101 is a popular choice among publishers operating across multiple streams and allows smooth integration perfectly with the design of their websites, improving the user experience. A solution that allows publishers to monetize their audience across different markets was the most suitable choice for Awin publisher, TI Media. 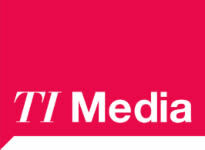 TI Media is a leading creator of content and brands that entertain and fuel the passions of millions of consumers daily. With over 50 iconic brands including Marie Claire UK, TrustedReviews and Cycling Weekly one of the most crucial necessities for a company operating across multiple streams was a solution that could play across key verticals. What results have TI Media seen since implementing the price comparison and shopping tools? Since the implementation of the M101 price comparison and shopping tools, TI Media have seen affiliate revenues across their titles accelerate by 130% YOY, with the price comparison and shopping tools making a huge contribution to their revenue growth. Their cycling channel specifically, with the simple implementation of the price comparison and shopping tools, saw 3x revenue growth since implementation. The large majority of M101 website users have seen affiliate revenue increase from 50% to 200%. Dynamic Affiliate links are automatically inserted into content and generate revenue from the highest performing merchants. Publishers use M101 to create shopping galleries to enrich and monetise their articles, whilst it being a cheaper way of customer acquisition. Monetizer101 pride themselves on their direct approach with clients and work closely with publishers to monetize their audience and facilitate small brands and businesses entering new markets. The promise of technology to make businesses better, faster and more agile has never been as pronounced as it is today, which is why Monetizer101 see great importance on easy system integration. Other clients who are currently using this software include Hearst, TI Media, MailOnline, Dennis Publishing, BBC Studios, Immediate Media, Mumsnet.